Choosing a cookware set that is right for you is never an easy decision. After all, there are so many options available that it’s easy to get lost and forget what you are looking for. And with so many brands that have been appearing lately – how do you know which ones are good? If you ask us, Anolon is always a good option. Anolon is a brand of cookware own by Meyer, a corporation that also makes many other famous brands of cookware. 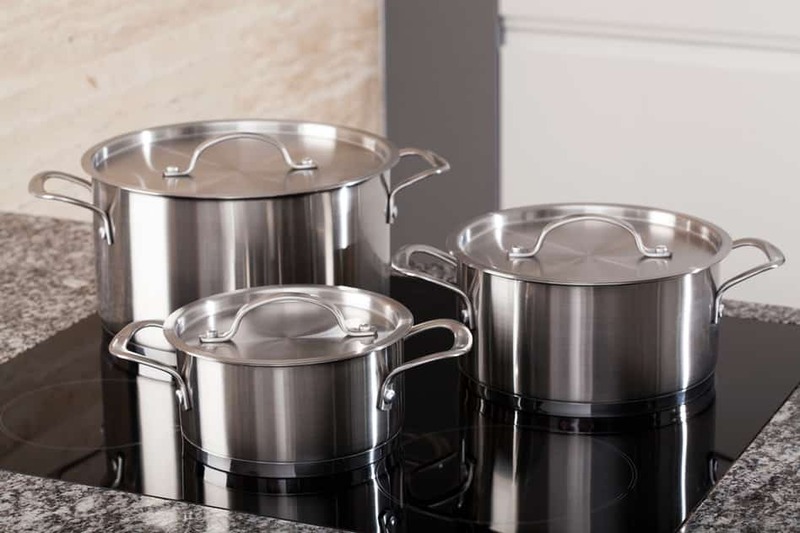 In recent years, Anolon has also expanded their repertoire to bakeware, cutlery, and kitchen utensils, but pots and pans, and, more specifically, hard anodized cookware have always remained their specialty. 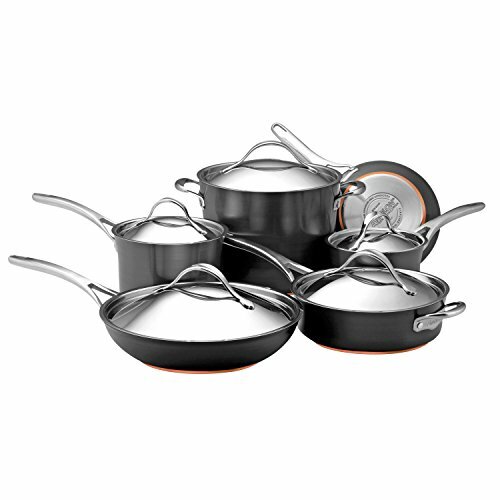 In this guide, you’ll find five different cookware sets from Anolon. Each one is different, but each one also has some distinct features. Some of them have a non-stick coating, some of them have a layer of copper, and the Anolon Nouvelle Copper Hard-Anodized Nonstick 11-Piece Cookware Set (number three on this list) actually features both. Take a look and we are sure you’ll find something that suits your preferences. 17.1 Is Anolon cookware any good? 17.2 Is Anolon cookware safe? 17.3 Is Anolon cookware oven-safe? 17.4 Is Anolon cookware dishwasher-safe? The Anolon Advanced Bronze Nonstick is a real Anolon Classic. It is made of Anolon’s signature material – hard anodized aluminum – that provides even heating across the cooking surface with no hot spots. What makes this set stand out is the color of the pots and pans. They feature a gentle bronze color on the outside and a warm chocolate interior. Both the outside and the inside of the pots and pans are covered with a high-quality non-stick coating made by DuPont. The coating is very durable and resistant to chipping and peeling. 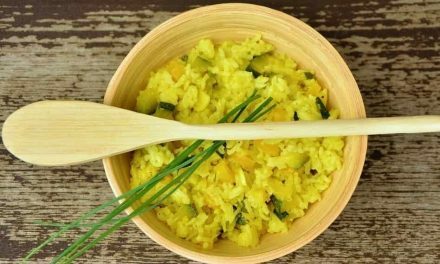 It is even safe to use metal utensils with it, so there is really nothing to worry about. The pots, pans, and even the cookie pans in this set feature the Anolon SureGrip handles. These handles are designed with the user in mind. They not only provide a soft grip, but they are also very comfortable to use thanks to the exceptionally soft finish. The handles come in a bronze color that matches the exterior of the pots and pans. Finally, even though they are made of silicone, these handles are heat-resistant up to 400 degrees Fahrenheit which also means that the pots and pans in this set are oven-safe. The only exception is the handles on the cookie pans, which can stand the temperatures up to 500 degrees Fahrenheit. 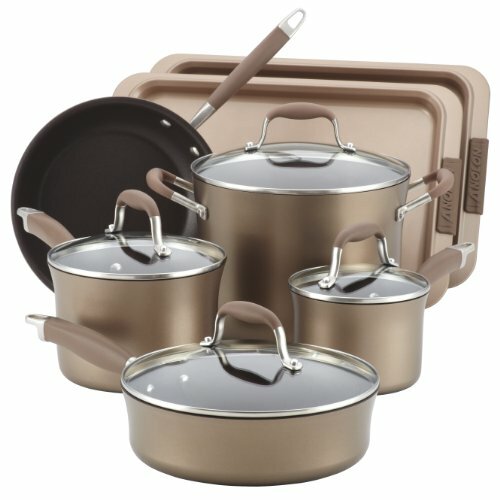 The Anolon Advanced Bronze Nonstick 9-Piece Cookware Set with 2-Piece Bakeware Bonus is a basic cookware set that includes everything you might need to prepare a tasty meal at the same time. 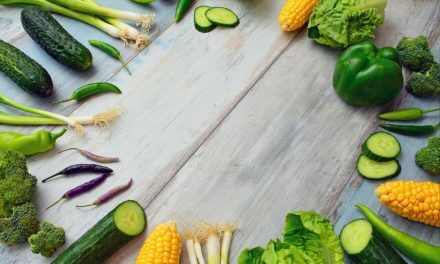 For this reason, it is a great choice if you are just starting out on your own and need to set up a kitchen in your new home. 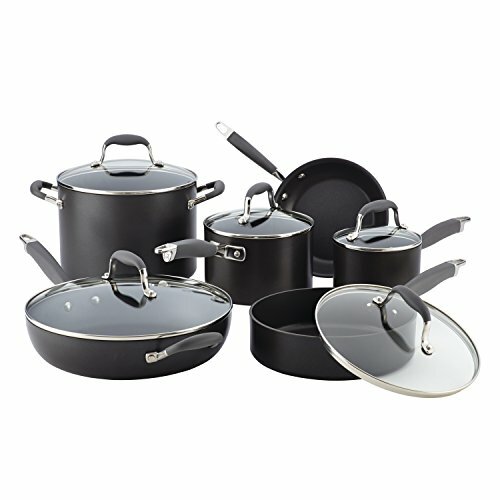 It is also a great choice for anyone looking for a set of versatile and functional cookware. The Anolon Tri-Ply Clad Stainless Steel 12-Piece Cookware Set features stainless steel construction with an aluminum core. As the name suggests, these pots and pans actually feature three layers of metal – the outside is stainless steel, the inside is stainless steel, but there is a layer of aluminum sandwiched between these two. In this way, the best qualities of both aluminum and stainless steel are combined to provide optimal cooking performance. While the aluminum heats up quickly and distributes heat evenly, the stainless steel exterior protects it and ensures a long life to these pots and pans. The design of these pots and pans really makes them a timeless classic. While the exterior features a brushed stainless steel finish for an elegant look, the interior is exceptionally smooth, ensuring that food doesn’t stick to the cooking surface. 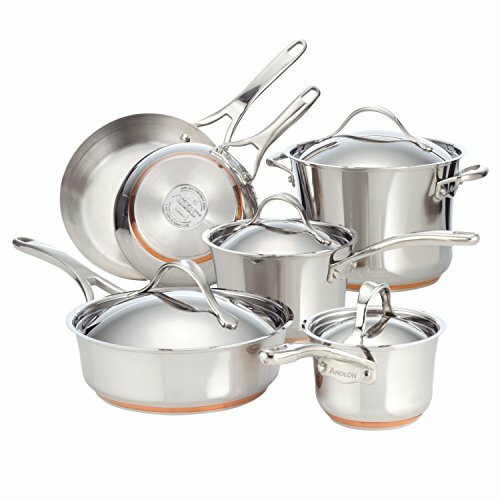 All of the parts in this cookware set are made of stainless steel, including the handles and the lids. The handles are double riveted so they remain securely attached even after years of use. They also remain cool on the stovetop. The lids on these pots and pans are deep-seated, a feature that not only looks nice but also ensures that the lid fits tightly to the pot in question. This way, the moisture, and the flavors remain sealed in. The tightly-fitting lids also prevent the heat from escaping which actually means you will waste less energy. What we especially liked about these lids are the handles on top. These are nice, large handles that allow you to lift the lid comfortably in any situation. Finally, since all parts are made of metal, all pots, pans, and lids in this set are completely oven-safe. Thanks to the stainless steel exterior, they can also be washed in the dishwasher. This is a classic stainless steel set with an aluminum core for better heat conduction. If there is one thing we can say for certain about this set, it is that it will surely withstand years of daily use. It is really a set of cookware made to last. The Anolon Nouvelle Copper Hard-Anodized Nonstick collection might just be the most innovative and high-performing collection of cookware from Anolon! The pots and pans combine copper, stainless steel, and hard anodized aluminum with a non-stick coating. Sounds like too much? Well, actually, it probably isn’t. Anolon has really done a great job with combining all of these elements in such a way that the best features of each metal shine through. While the body of these pots and pans is made of exceptionally tough hard anodized aluminum, they also feature a special five-layered base. The base has a thick layer of copper in the middle that provides unmatched heat production properties, while a stainless steel layer at the bottom makes these pots and pans compatible with induction cooktops. The handles and the lids, on the other hand, are made of stainless steel which makes them extra durable, impact resistant, and easy to clean. Moreover, the handles are actually hollow, which eliminates unnecessary weight. This set also features a unique design of the pots and pans – the tops of the pots are gently sloping outwards, while the stainless steel lids are deeply seated but domed. When you add the unique looping handles on the lids to all of this, the end result is a really amazing, elegant look. This review wouldn’t be complete if we didn’t say a couple of words about the cooking surface. The cooking surface on these pots and pans is covered with Anolon’s signature non-stick coating. This is a really tough coating so it’s safe to use metal utensils with it. Because of the coating, these pots and pans are not dishwasher safe, but this really shouldn’t be a big problem since the non-stick coating works really well, making it super easy to hand wash the pots and pans. 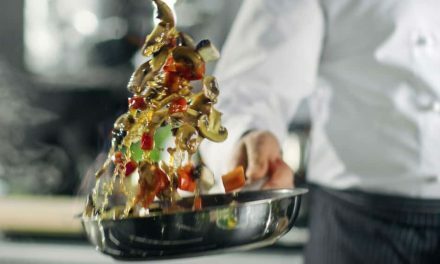 Restaurant tested by professional chefs, the dupont autograph 2 nonstick coated interior is safe for use with metal utensils. A full layer of copper sandwiched between two layers of aluminum is protected by an induction capable stainless steel encapsulator. 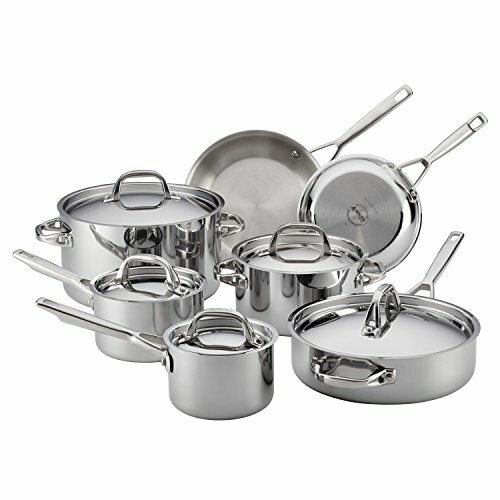 Elegant stainless steel lids fit securely to the pans to lock in flavors and nutrients. Cast hollow-cored stainless steel handles are attached to the pan using patent pending flush rivet technology. Food won't get stuck around the rivets so the pan cleans up easier. oven safe to 500 degrees fahrenheit. Overall, this is a great cookware set, suitable for beginners and seasoned cooks alike. The combination of hard anodized aluminum, copper, and stainless steel really provides amazing results. This set from Anolon combines the classic look and feel of stainless steel with the benefits of copper. These pots and pans feature a stainless steel body, and stainless steel is one of the toughest materials used to make cookware. This means your new pots and pans won’t be prone to scratching, or getting dent’s if you bump them accidentally. A stainless steel cooking surface also means these pots and pans are dishwasher-safe, safe to use with metal utensils, and basically anything else. The feature that makes these pots and pans different from standard stainless steel cookware is the special base with five layers of metal. There is a thick layer of copper at the core, sitting between two layers of aluminum. The final bottom layer is made of magnetic stainless steel, ensuring compatibility with induction cooktops. Another thing that makes these pots and pans stand out from the rest is the elegant, sleek design. The pots have a gentle tulip silhouette as they widen slightly towards the top. The lids are deep-seated and domed, with an elegant looping handle at the top. Both the lids and the handles are made of stainless steel which means all of the pots and pans in this set are completely oven-safe. Every piece in this 10-piece set is exceptionally functional and useful. Since these pots and pans combine the durability of stainless steel with the amazing performance of copper, you can literally use them to cook anything – from a standard breakfast in the skillet to a special gourmet meal. 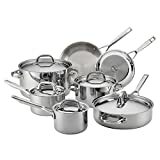 All of this also comes at quite a reasonable price, so if you are looking for a set of stainless steel cookware, you should definitely consider this one. The Anolon Advanced Hard Anodized Nonstick collection is sheer proof that things don’t have to be complicated in order to work well. These pots and pans are made using only one material – hard anodized aluminum, but this doesn’t mean they perform any worse than multi-layered pots and pans. The aluminum body is quite thick and heavy, while the anodized finish makes it extra tough, non-porous, and non-reactive. Aluminum is also a great conductor of heat which means these pots and pans heat up quickly and evenly, without hot spots. The inside of these pots and pans is covered with Autograph 2 non-stick coating made by DuPont. This coating is extremely durable and it’s not prone to chipping and peeling off, like some other coatings. It’s also completely free of PFOA, and safe to use with metal utensils (it shouldn’t go into the dishwasher, though). The pots and pans in this set feature the Anolon SureGrip handles. These handles are designed with the user in mind. They not only provide a soft grip, but they are also very comfortable to use thanks to the exceptionally soft finish. Finally, even though they are made of silicone, these handles are heat-resistant up to 400 degrees Fahrenheit which also means that the pots and pans in this set are oven-safe. The lids in this set are made of tempered glass, which is a nice advantage if you like being able to see your food while it’s cooking. Overall, this is quite a nice cookware set. Hard anodized pots and pans are lighter than stainless steel but just as tough, and they heat up more quickly and evenly. Moreover, the non-stick coating on the inside is completely safe and makes cooking a real joy since you don’t have to worry about food sticking to the pan. One of the first things to consider when choosing a cookware set is the material it is made of. 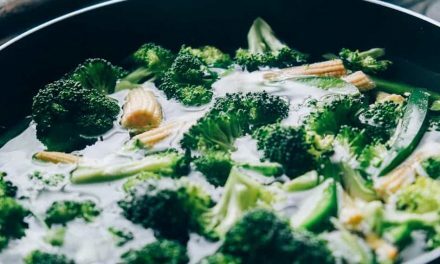 The name Anolon is derived from the word “anodized” so the fact that they use hard anodized aluminum a lot in their cookware shouldn’t come as a surprise. What is the reason for this? Well, hard anodized aluminum is simply a great material for cookware. Aluminum is a great conductor of heat in itself which means that pots and pans made of this material heat up quickly and evenly. However, aluminum can react with acidic foods which is not a good thing. However, when aluminum is anodized, the surface of the pot or pan in question becomes exceptionally hard, smooth, non-porous, and, most importantly, non-reactive. Moreover, Anolon is not exclusively dedicated to making hard anodized cookware, even though some of their most popular cookware sets feature this material. The Anolon Nouvelle collection, for example, features a copper layer at the core for even better heat conduction, and a stainless steel base that makes the cookware compatible with induction stovetops. Finally, if you prefer a stainless steel cooking surface, you might want to opt for the Anolon Tri-Ply Clad Stainless Steel 12-Piece Cookware Set. In conclusion, Anolon offers a diverse range of cookware. It’s hard to say which set is the best, but we believe you can find something you like no matter what your preferences are! Is Anolon cookware any good? Anolon uses a lot of hard anodized aluminum for their cookware, which is a material that is easy to clean and conducts heat evenly. 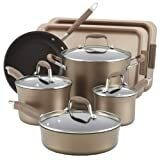 However, some of their sets like the Anolon Nouvelle Copper Stainless Steel 10-Piece Cookware Set and the Anolon Tri-Ply Clad Stainless Steel 12-Piece Cookware Set feature copper and aluminum too. No matter what material is used for the set in question, Anolon cookware is always beautifully designed and made to last. Yes, Anolon cookware is completely non-toxic and safe to use. When it comes to cookware safety, the non-stick coatings are usually the greatest cause for concern. Anolon uses a special non-stick coating made by DuPont which is completely non-toxic and safe to use. It does contain PTFE, but it has been determined that PTFE is safe to use if a component called PFOA is not used in the manufacturing process. Anolon is very serious about safety, and there are no traces of PFOA in any of their cookware collections. Finally, if you still have doubts, Anolon also offers cookware sets without non-stick coatings that are also completely safe to use. Yes, Anolon cookware is oven-safe. However, you should keep in mind that most of the cookware pieces made by Anolon that feature the Autograph 2 nonstick coating and SureGrip silicone handles are oven-safe at temperatures up to 400 degrees Fahrenheit. Some specific collections, like the Anolon Tri-Ply Clad Stainless Steel 12-Piece Cookware Set, are oven-safe even at higher temperatures. Anolon cookware sets that have a non-stick coating are not rated dishwasher-safe. 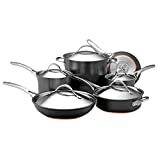 Among the cookware sets on this list, the Anolon Advanced Bronze Nonstick Cookware Set, the Anolon Nouvelle Copper Hard-Anodized Nonstick Cookware Set, and the Anolon Advanced Hard-Anodized Nonstick Cookware Set should not go in the dishwasher. On the other hand, the Anolon Nouvelle Copper Stainless Steel 10-Piece Cookware Set and the Anolon Tri-Ply Clad Stainless Steel 12-Piece Cookware Set are completely dishwasher-safe.